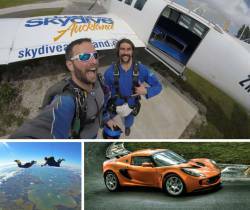 Want to grow a Mo, jump out of a plane and drive a Lotus Exige? Just sign up to our Movember event and raise $1000 for men's health. On 1st December we will hold a Movember skydive party, where you will jump out of a plane from 13,000ft. After this we will have a BBQ and you can (optionally) shave off your mo. You will also receive a free Lotus Exige drive around the Hampton Downs, with insurance (valued at $244). The Taupaki School Monster Fireworks Display is on Friday 27th October and we are looking forward to performing our skydiving display into the Kumeu Showgrounds before dark! We do this every year and it's amazing! Want to be part of it? 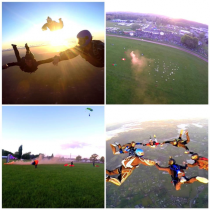 You can bid to win a tandem skydive into the event! https://www.trademe.co.nz/Browse/Listing.aspx?id=1442974176 All money raised goes towards Taupaki School. 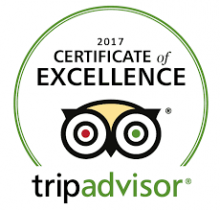 Grab a tandem skydive discount voucher from our team on the night. We are hosting an event called 'Skydiving Fairies' on Saturday 2nd December, to raise money for Ella, a brave 4 year old Kiwi who desperately needs help. Ella was born at 25 weeks weighing 800 grams and was given a slim chance of ever leaving hospital. She has life long conditions; Cerebral Palsy, Hydrocephalus and Epilepsy. Ella has been selected to undergo Selective Dorsal Rhizotomy (SDR) at St Louis Children's Hospital in America. Her surgeons believe that Ella will be able to walk with crutches and possibly even independently, giving her a whole new quality of life. 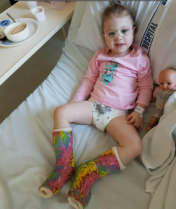 This operation is not available to Ella in NZ, and due to restrictions in NZ to get support with overseas medical care, Ella needs over $150,000NZD to be raised. Ella loves fairies and fairies come from the sky. Sign up to 'Skydiving Fairies' to raise money for Ella. Every fundraiser page that raises over $600 for the Skydive Auckland will receive a free tandem 13,000ft skydive. Find out more information or sign up to Skydive For Ella. Clean Up Week is New Zealand's largest litter clean up event. The Skydive Auckland Team adopted the Parakai area where we walked up and down the street picking up rubbish and recycling. Big thanks to Keep New Zealand Beautiful for sending us our pack and thanks to those who joined us today to do our bit.